Do you need to add ornaments to a baroque piece, or wonder how to get a Menuet to dance off the page? Following the enormous success of Elizabeth Walker's first award winning book Baroque Flute Studies, help is at hand in the form of Baroque Studies for Modern Flute. This new book explores the key techniques used in baroque performance and interpretation, and demystifies the many symbols and unwritten practices of baroque music for the modern flute player. Exercises on tone, style and articulation, and full explanations of ornaments are coupled with carefully chosen examples from the repertoire, including solos, duets, trios and orchestral excerpts. 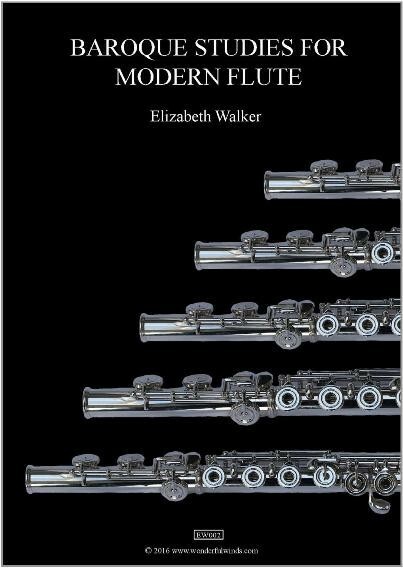 Elizabeth is well known both as a Baroque flute specialist, and also for her interpretations of the baroque repertoire on modern flute this unique perspective guarantees a book that is not only informative, but one that will also enhance the enjoyment of playing baroque music for every flute player.